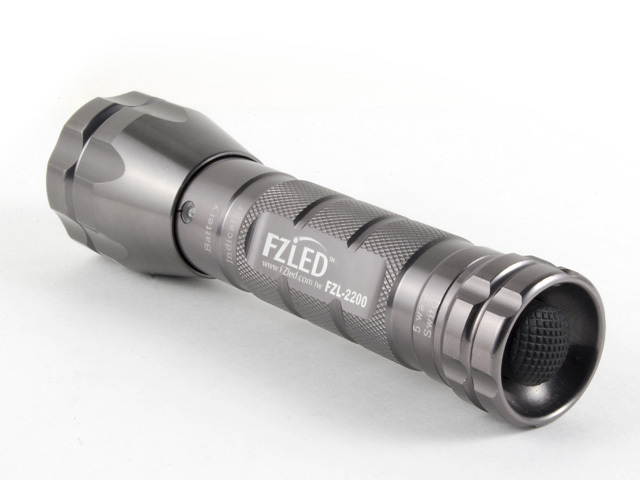 The LED FZL-2200 was designed to replace hiking or indoor lighting and portable torch globe currently available in markets worldwide. 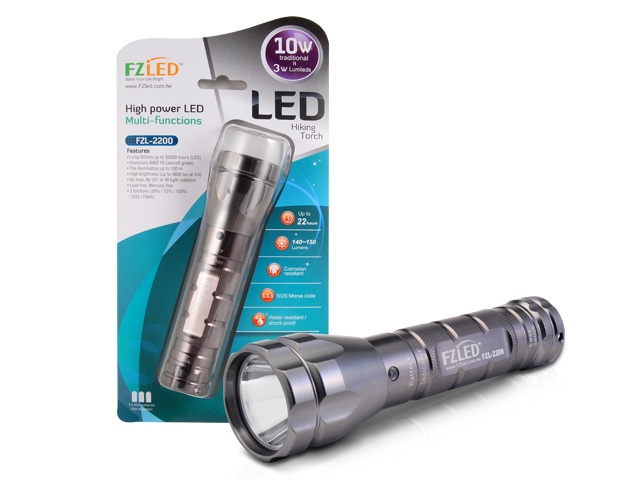 Using lower wattage compared with the original product (10 W). 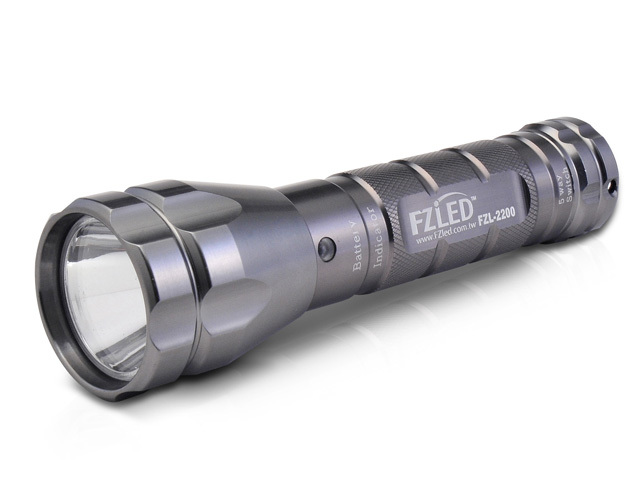 The lumens is at 200~220 lm at a flux of 73 lm/W. • Control button located at rear side of the torch. • When the battery lower than 20% the indicator will change from “green” to “red”.